A growing consumer market has been identified as the number one attraction of ASEAN, rather than its economic integration, in driving investors into the region, results of a survey conducted among Australian businessmen showed. Members of Asean and their six trade partners are now in the process of identifying products that will be subjected to zero-percent duty under a regional free-trade agreement (FTA), according to Trade Undersecretary Ceferino S. Rodolfo. The Thai Prime Minister, General Prayut Chan-ocha, announced at the end of August that the Thai government was making preparations to receive Rohingya refugees fleeing violence in Myanmar. The Association of Southeast Asian Nations (ASEAN) is to sign a free-trade agreement with Hong Kong in November, a Philippine government official said Saturday, September 9, following three years of talks. 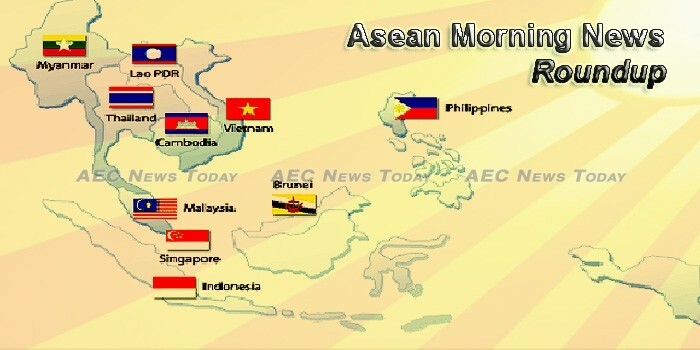 The Association of Southeast Asian Nations (ASEAN) and its three East Asian dialogue partners China, Japan and South Korea reaffirmed on Sunday to further intensify economic cooperation to build a stronger ASEAN Plus Three (APT) community. A long boat race is underway in Bueng Kan province where Thai, Lao, and Vietnamese athletes are competing for the Princess Maha Chakri Sirindhorn Cup. UNITED OVERSEAS BANK (UOB), one of the largest Asian banks, is actively engaged in bringing foreign investors to Thailand, particularly the flagship investment project in the Eastern Economic Corridor, according to its chief executive. Members of the ASEAN Security Task Force (ASTF) have been ordered not to use mobile phones while on duty. Trade minister Hiroshige Seko on Saturday proposed an aid package for the Association of Southeast Asian Nations to develop the foundations for free trade. Economic ministers from 16 Asia-Pacific countries negotiating an alternative trade pact to the floundering Trans-Pacific Partnership (TPP) pact acknowledged on Sunday no agreement will be finalised by year-end. The Philippine government-hosted Southeast Asian Regional Center for Graduate Study and Research in Agriculture (SEARCA) is calling for applications for a small grants facility that funds social forestry projects. Leah Lyn Domingo, SEARCA public relations specialist, said each member state of the Association of Southeast Asian Nations (ASEAN) is allocated a maximum budget of $25,000 and has the option to propose one or two projects. The ASEAN Ministers Responsible for Information (AMRI) convened today for the Roundtable Discussion on Countering Fake News and Communicating the Right Information at Seda Vertis North in Quezon City. The Hi Team from China’s Harbin Institute of Technology bagged the first prize of US$1,000 (RM4,300) at the inaugural Asean Makerthon 2017, hosted by the Malaysian Communications and Multimedia Commission (MCMC) this evening. The Secretariat of the House of Representatives has joined a number of agencies to create an academic network to help develop a database of ASEAN laws. Indonesia positions itself as diplomatic actor in Rohingya crisis, but to what effect? As the world’s largest Muslim-majority state, Indonesia has long been vocal on issues affecting Muslim communities across the globe. Equity analysts are now downgrading banking stocks after the Jakarta Finance Index rallied 21 percent this year — more than double that of the main gauge — as they expect nonperforming loans in the $527 billion industry to creep up again. The gap in overall development and incomes between cities and rural communities is substantial, Minister of Planning and Investment Dr Souphanh Keomixay has said. A Japanese company is in the process of amassing a dairy herd and building a huge milk processing plant in Xieng Khuang province as part of its Australian cattle husbandry project. The Ministry of Finance has been instructed to re-inspect sources of revenue and the taxes paid by businesses as well as identify challenges that need to be addressed in the years to come. The ringgit’s upward trend is expected to continue till year-end, increasing the likelihood of it breaching the RM4.00 to US$1 psychological mark sooner rather than later after it broke the 4.20 level last Friday, said Sunway University Business School Professor of Economics Prof Dr Yeah Kim Leng. THE tech ecosystem in Malaysia received a huge boost this past week with the introduction of a new US$238 million (RM1 billion) fund from Malaysian Debt Ventures (MDV), one of Asia’s leading venture debt specialists. Myanmar’s military has been accused of planting land mines in the path of Rohingya Muslims fleeing violence in its western Rakhine state, with Amnesty International reporting two Rohingya civilians wounded Sunday. Myanmar’s exports so far this fiscal year were worth US$5.41 billion, an increase of $433 million compared to the same period last year, according to the Commerce Ministry. AS Hong Kong’s second Belt and Road Summit started today in the city The Myanmar Times asked two experts from The Economist Intelligence Unit and Lau China Institute at King’s College, London for their input regarding the dynamics of the Belt and Road Initiative (BRI) and China in relation to Myanmar and ASEAN. Tax collection from “sin” products is seen expanding by 4.7 percent to P150.2 billion in 2018 against the 2017 target of P143.5 billion, according to the Department of Finance (DOF). Singapore-based bank DBS expects the Philippines to post a higher current account deficit this year and the next but notes that the economy has enough buffers to counter the impact. THE PESO may sustain its rally this week as the dollar remains weak, with negative news in the United States leaving investors less upbeat, dampened further by the impact of a hurricane that was bound to hit over the weekend. The government has set a target to earn as much as 3.03 trillion baht from tourism industry for 2017 with emphasis on “quality” tourists instead of quantity, said government spokesman Lt-Gen Sansern Kaewkamnerd on Sunday. It is not possible for the daily labour minimum wage to go up to between 600-700 baht per day as proposed by the Thai Labour Solidarity Committee, said Labour Ministry spokesman Ananchai Uthaipattanacheep. Thai logistics firm Best Group has entered into a joint venture with Hong Kong-listed property firm Hydoo International Holding to develop a Trust City World Exhibition and Trade Centre and an Asean Economic Community fintech hub project with total investment of 100 billion baht ($3 billion). Vietnam police said on Friday they had charged a former central bank deputy governor with “lack of responsibility”, as the country extends its corruption crackdown in the banking and energy sectors. The government hopes that equitisation will increase the efficiency and improve the management of the State-owned enterprises (SOE) which have been suffering from inefficiency for years. Next year’s pay rises will still be far below a living wage for those lucky enough to receive them.